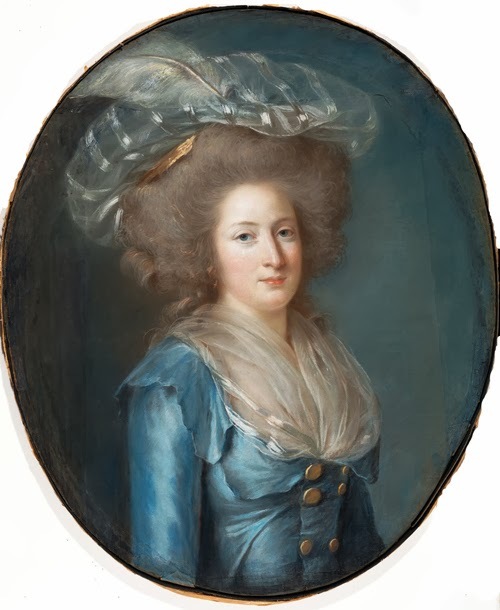 Madame Elisabeth‘s tranquil and pious life was marred by tragedy in 1787, when her niece Sophie, the youngest daughter of her brother Louis XVI and his wife Marie Antoinette, died. The royal couple lost another child in June 1789, the Dauphin Louis-Joseph. They were devastated. Madame Elisabeth tried to comfort the grieving parents, unaware that pretty soon they would all be facing more harrowing trials. The following month, the Bastille fell. The French Revolution had started. At first, not much changed at Versailles. It was clear to everyone that some important changes should soon be made, but life carried on as normal. But the people, made poor by the bad economic crisis affecting the country and fed propaganda lies by the revolutionaries, were stirring into more, violent action. 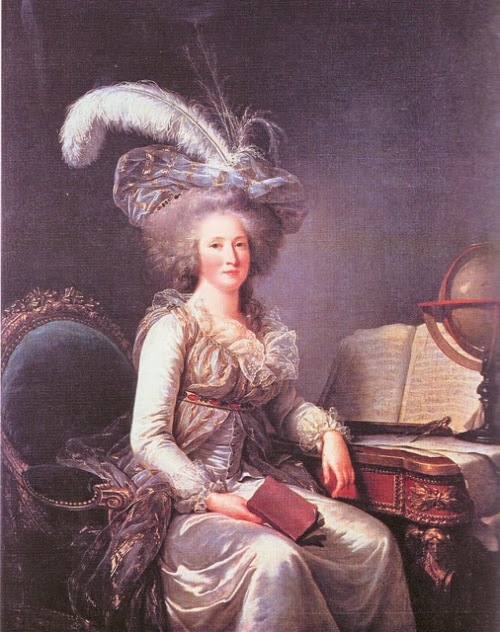 And on 5 October 1789, a big group of women marched on Versailles. The mob managed to enter and storm the palace, determined to kill Queen Marie Antoinette, who luckily escaped in haste through an hidden door. Upon hearing the terrible news, Elizabeth run to her sister-in-law. When she saw she was well, only shaken, she ordered her own rooms be used to treat the wounded. She herself helped care for them. But soon, it was time to go. The mob had succeeded in forcing the royal family to settle in Paris. The journey to the capital, which usually took only an hour and a half, among the jeering and insulting mob, lasted 8. The royal family were tired, dirty and sad when they arrived at the Tuileries. The palace was cold, damp, abandoned and not fit to house them. Yet, the royal family settled in it and, after a while, a small court formed around them. Surrounded by guards day and night, they lived a simpler existence. The royal family now spent a lot more time together. The adults helped the children with their homework, and Elizabeth spent hours playing with them in the garden or reading and embroidering with her sister-in-law. She also painted a lot, which relaxed and distracted her. However, they had to put up often with the insults and affronts heaped upon them by their jailers. The King had first had tried to work with the revolutionaries, but all his attempts failed. The new government was becoming more radical. Louis XVI finally saw no other option but to flee Paris so that, once free, he could get back the reigns of government and help his people. 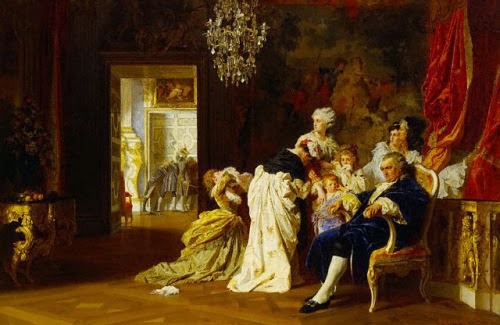 Preparations were made so secretly that Madame Elisabeth, her little niece and nephew weren’t told until the last moment. 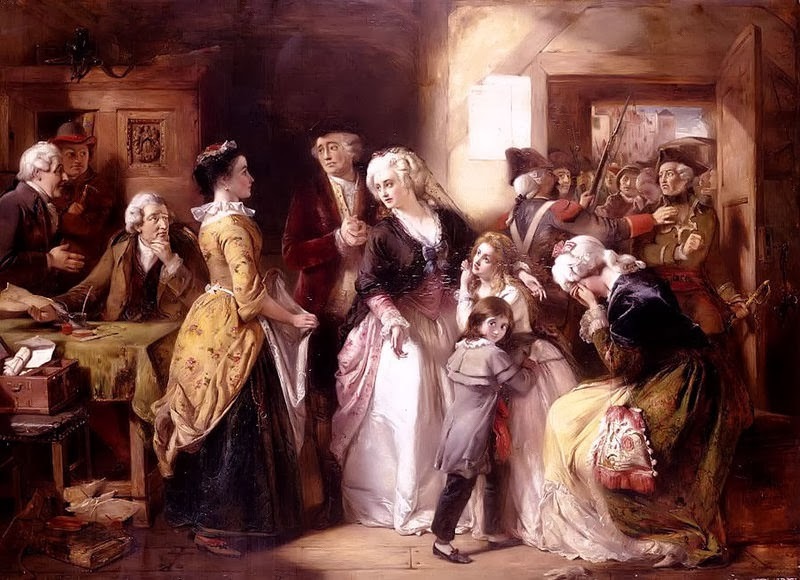 The night of 20 June 1791 the royal family boarded the carriage that was supposed to take them to Montmedy. But it never made it there. The royal family was recognized at Varennes, and brought back with Paris. The journey back, which took three days, was a nightmare. The royal family was forced to travel with two envoys from the National Assembly, Barnave and Pétion, who conceitedly believed Madame Elizabeth had developed a crush on him. The coach was surrounded by jeering and threating mobs demanding the blood of the Queen. When they returned to Paris, Elizabeth sent Madame de Tourzel a book, “Meditations on Death.” Had she realised what the revolutionaries had in store for them? Even if she did, her courage never left her. And she would soon need it. Once back, the royal family was guarded more closely and strictly than ever. But the mob, on 20 June 1792, still managed to broke into the Tuileries Palace. Elisabeth, who was standing near her brother, was mistook for the Queen. Although the princess, ready to sacrifice herself for her sister-in-law, begged her attendants not to undeceived them, soon the mob learned her true identity, leaving her physically unhurt. That day, not much harm was done. But less than two months later, on 10 August, the Tuileries was sacked and, to save their lives, the royal family had to escape the palace and ask refuge at the National Assembly. The family spent 16 hours, without food and little to drink, in the tiny space reserved to the editors of newspapers. When the battle outside ended, the French monarchy had fallen. After a night in the monastery, the royal family was incarcerated in the tower of the Temple prison. At first, life was quiet and simple. Elisabeth read, worked with her needle, had meals with the rest of the family, walked in the garden and even taught her niece how to be independent and do things by herself, something she would need in the near future. Then, in winter, the King was separated from the rest of the family, while he awaited trial. He was found guilty and condemned to death. He was finally allowed to see his family on 20 January 1793, the day before his execution. It was a touching, desperate scene. The King, on parting, assured them he would see them again in the morning. But when the time came, he couldn’t go through with it. A little after 10 o’clock, the royal family heard the guns announcing the death of the King. Everyone was devastated. Elisabeth raised her eyes heavenwards and exclaimed: ‘The monsters, so they’re satisfied now!’. But the monsters weren’t satisfied. They demanded more blood and would soon get it.